#GivingTuesday is quickly becoming the Super Bowl of charitable giving. Don’t sit on the sidelines! Whether you’re a corporate or nonprofit professional, get your game plan ready to take home a win on GivingTuesday. In this free webinar, For Momentum’s coach Rich Maiore will cover the Xs and Os of an unbeatable #GT activation. Communication signals to ensure everyone – from internal team to spectator – knows the plays. Technology tips to prepare for flawless game day execution. Rich Maiore brings more than 20 years experience in marketing and communications with a track record of developing and implementing impactful global CSR programs for Fortune 500 companies and leading nonprofit organizations. 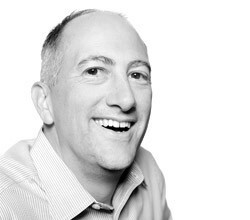 Prior to joining For Momentum in 2015, Rich was a Senior Vice President of Social Impact at Cone Communications for ten years.